It’s Mardi Gras season on the bayou, which means parades, pageantry, and gumbo galore. But when a flood upends life in the tiny town of Pelican, Louisiana — and deposits a body of a stranger behind the Crozat Plantation B&B — the celebration takes a decidedly dark turn. The citizens of Pelican are ready to Laissez les bon temps rouler — but there’s beaucoup bad blood on hand this Mardi Gras. Maggie Crozat is determined to give the stranger a name and find out why he was murdered. The post-flood recovery has delayed the opening of a controversial exhibit about the little-known Louisiana Orphan Train. And when a judge for the Miss Pelican Mardi Gras Gumbo Queen pageant is shot, Maggie’s convinced the murder is connected to the body on the bayou. Does someone covet the pageant queen crown enough to kill for it? Could the deaths be related to the Orphan Train, which delivered its last charges to Louisiana in 1929? The leads are thin on this Fat Tuesday — and until the killer is unmasked, no one in Pelican is safe. London, 1923. Olive Belgrave needs a job. Despite her aristocratic upbringing, she’s penniless. Determined to support herself, she jumps at an unconventional job — looking into the background of her cousin’s fiancé, Alfred. He burst into the upper crust world of London’s high society, but his answers to questions about his past are decidedly vague. The show must go on — yet as they speed toward opening night, it becomes clear that other members of the company may be targeted as well. Lila searches for answers while contending with a tenacious historical society, an eccentric playwright, an unsettling psychic, an enigmatic apparition, and a paranormal search squad. With all of this in play, will she be able to identify who killed her colleague... or will it soon be curtains for Lila too? Welcome, y'all! 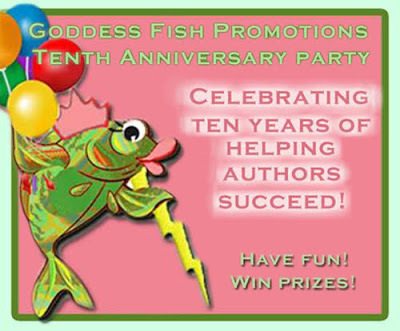 I'm so glad you've stopped by, to be a part of the Goddess Fish Tenth Anniversary Celebration. So without further ado, I'm turning the controls over to the dynamic duo of Goddess Fish. "Who is Goddess Fish Promotions? And what do we do?" We're glad you asked! We didn't want your visit here to be dry and boring, so we decided to have a poetry competition and put what we do into verse. Early one gray November morning, retired Lighthouse Cove, NY police chief, Edmund DeCleryk, finds Emily Bradford's body on the beach at the base of the bluff where the local museum and historical society stands. At the same time, a break-in has been reported at the museum, and Emily's coat and purse are found hanging on a peg in the museum's gift shop where she worked. Was her death the result of a burglary gone bad or something more sinister? When the police chief is called out of town for a family emergency, he hires Ed, now working as a criminal consultant, to assist deputy police chief, Carrie Ramos, with the murder investigation. After several leads don't pan out, the chief, now back in Lighthouse Cove, decides to close the case. Confident that with more time the murder can be solved, Ed is determined to continue investigating on his own, with encouragement from his wife, Annie, the museum's executive director. One morning while in the basement of the museum, the couple discovers a copy of a map dated 1785, and Ed's instincts tell him it may be connected to Emily's death. On a hunch, he and Annie travel to Toronto, Canada, where he learns of the original map and a manuscript written in 1847 that were unearthed during an archaeological dig. The manuscript contains information about a ship that capsized during a fierce storm on Lake Ontario — in 1785. Now Ed has clues as to why the murder occurred, but he still doesn't know who committed the crime. Or does he? the latest craft frenzy is Holly Quinn’s Handcrafted series debut. 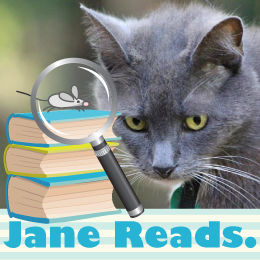 When a heartbroken Samantha “Sammy” Kane returns to her hometown of Heartsford, WI, for her best friend Kate’s funeral, she learns that Kate’s much-loved craft store is in danger of perishing with its owner. Confounding all her expectations of the life she would live, Sammy moves back home with her golden retriever and takes over Community Craft. A few doors down Main Street, fellow new arrival Ingrid Wilson has just opened the Yarn Barn, a real “purl” of a shop. 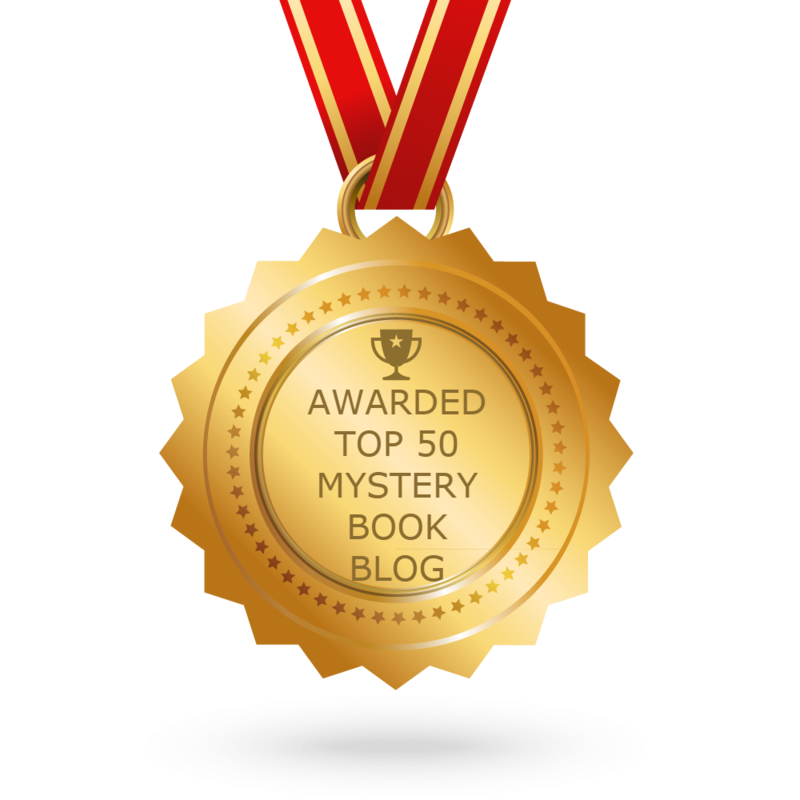 But when Sammy strolls over to see if Ingrid could use a little help, she finds Ingrid’s dead body — with a green aluminum knitting needle lodged in her throat. Detective Liam Nash is thrown for a loop as every single citizen of Heartsford seems to have a theory about Ingrid’s murder. And nearly everyone in town seems to be a suspect. But the last time Sammy did any sleuthing was as a little moppet. And this is not fun and games. Sammy is eager to help the handsome Liam — who seems to be endlessly inventive in finding reasons to talk with her — and when Liam arrests affable woodworker Miles Danbury, Sammy puts everything on the line to help clear Miles. As the case comes dangerously close to unraveling, Sammy must stitch the clues together. But the killer has other plans — and if Sammy’s not careful, she may wind up in a perilous knot in A Crafter Knits a Clue, the first warm and woolly yarn of Holly Quinn’s new Handcrafted mysteries. The Perfect Body: In which Professor Molly deals with a new baby, an old flame, and a regrettable coincidence. When Professor Molly attends Mahina State University's exclusive donor dinner, she doesn't expect to have to share a table with the insufferable Stephen Park. Turns out it's one thing to invite your toxic ex-boyfriend to drop dead... it's quite another when he takes you up on it.